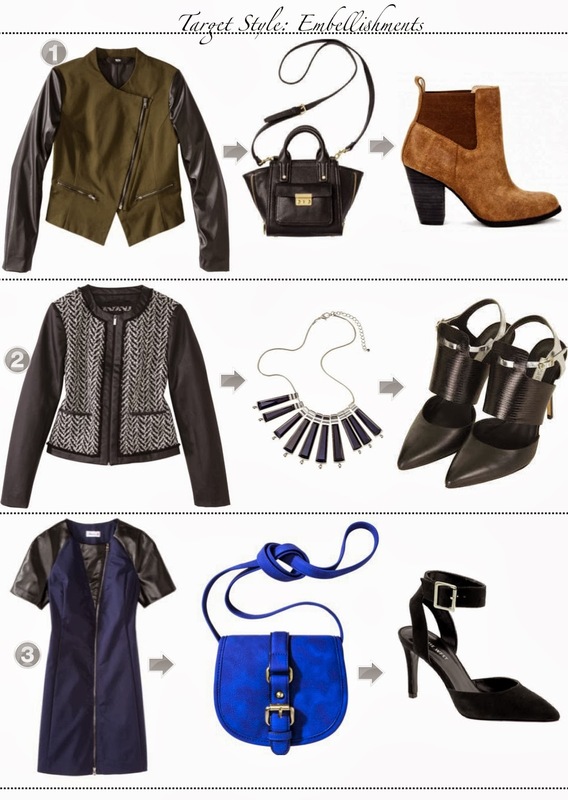 I'm excited to share with you another Target Style post, this time it's all about the embellishments for fall. I love that a little bit of embellishment can instantly elevate a simple outfit to feeling extra special. Whether it's embellished leather sleeves, studded collars or a powerful statement necklace; we saw it all during New York fashion week specifically at the Target Style fashion show. I've been really impressed with Target this year and I still can't believe all of the key pieces below are from Target. Not to mention budget friendly too! I've already added a few embellished pieces to my fall wardrobe which you can see here, here and here. I would love to know, which embellished piece are you currently coveting?